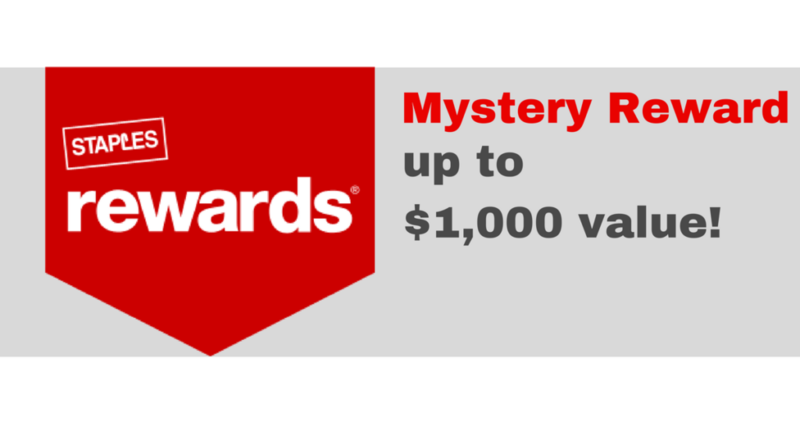 To reveal your reward, head to your local Staples store and either show your reward on your phone or print it out – the reward could be worth $5, $500, or even up to $1,000 through October 14th! Note: This reward is valid in-store only. Head to your local Staples if you received this email and let me know what reward you get!